Drop — How do I post reviews and comments? In order to post reviews and comments, you&apos;ll need to register a Drop account. When you are set up with an account, you can— and should! — post as many reviews and comments as you like. 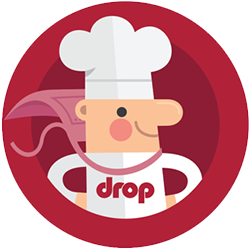 We want the Drop Recipes app to be a friendly and welcoming place, so please always remember to adhere to our Community Guidelines. Whenever you have completed a recipe (and only then, please! ), you have the opportunity to let the rest of the Drop community know what you thought by leaving a helpful review. What did you like about it? Did you make any changes to the recipe? What could have been better? Do you have any questions or comments about a recipe? Then the Discuss section is for you. This is the best place to discuss the method, techniques, ingredients, tips and tricks, and other topics that doesn&apos;t necessarily fit into the review format.